Get ready for the upcoming Microsoft Tech Summit 2016-17, Free, two-day technical training for IT professionals and developers with experts who build the cloud services across Microsoft Azure, Office 365, and Windows 10. 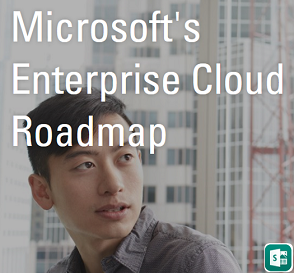 This is a event scheduled to occur in different parts of the world, similar to last years' Microsoft Cloud Roadshow. 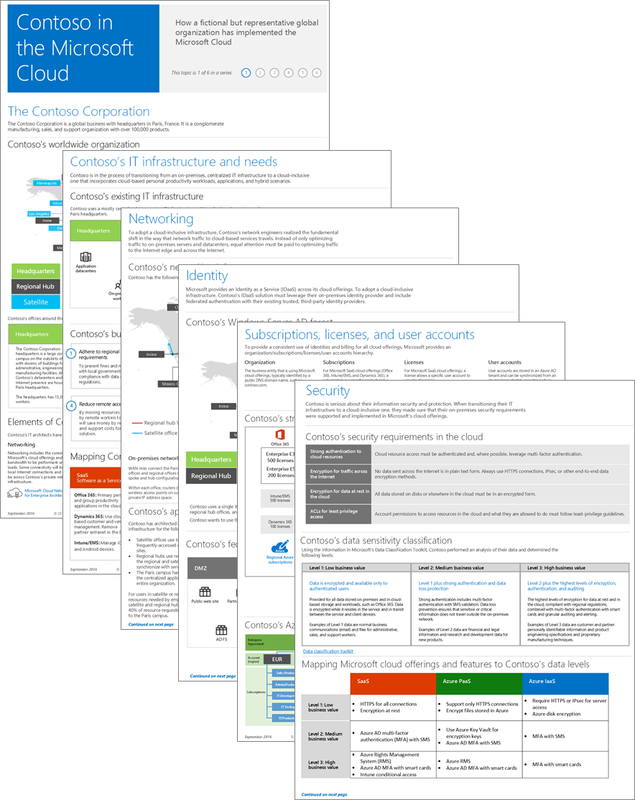 Microsoft has published this document to provide an overview, guidance, and best practices for enterprise IT departments to introduce, consume, and manage Microsoft Azure-based services within their organization. The target audience is enterprise architects, cloud architects, system architects, and IT managers. 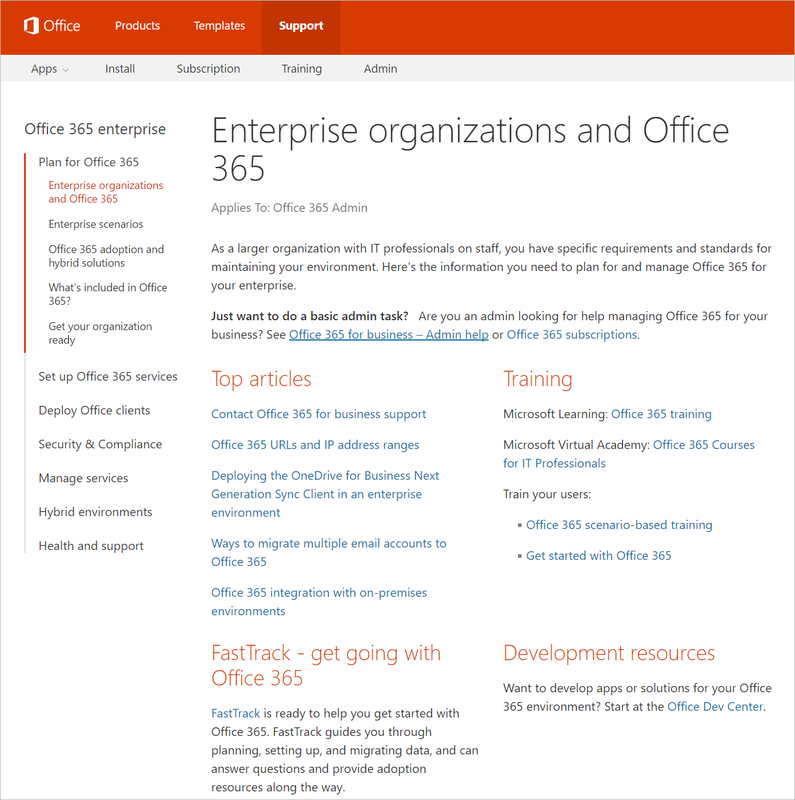 The Office Training Center Bill of Materials provides a searchable list of all learning assets for Office 365 and Office 2016. Search on the list by title, product, asset types, or work place scenarios. 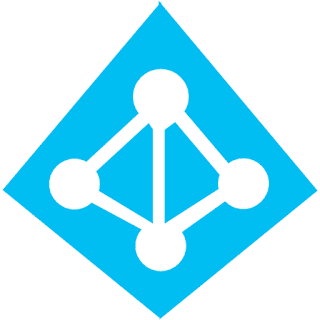 Earlier this Month Microsoft announced the General Availability of Azure Active Directory PowerShell 2.0 module, To maintain equivalent capabilities between Microsoft Graph API and PowerShell cmdlets, all these new cmdlets are built on top of the Graph API. Follow the instructions to install the module according to your Operating System. You can install the new PS Module in your pre-production or Test environment and see how the new V2 cmdlets work in comparison with V1 cmdlets, and once V2 cmdlets have equivalent capabilities as V1 cmdlets you can start update your existing scripts accordingly. 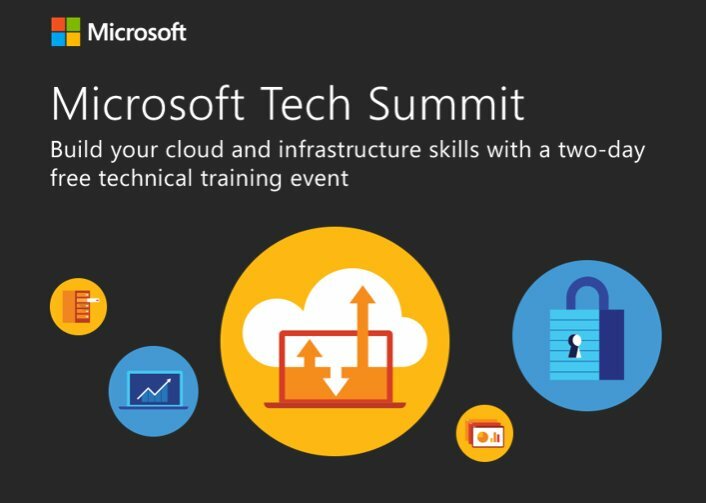 Advance your Azure skills from today! Whether you’re new to Azure or already a cloud professional, training is one of the best investments you can make in your career. Microsoft is offering a free online training option and great deals on certification. A new addition to the list of existing variety of technical training, tools and resources from Microsoft, This new Free Online training is based on a modern learning model called a Massively Open Online Course, or MOOC. MOOCs are so much more than online videos and demos – they incorporate videos, labs, graded assessments, office hours, and more. You can access the growing catalog of MOOCs right now, for free. Finishing each MOOC includes a digital certificate of completion ready to share on professional networking sites like LinkedIn. Why to wait, choose the best option for you, your Organization and your Customer, begin your Azure Learning today and level up your skills. Currently Available Modules in this MOOC are below and active till June 2017. Register for these courses today and advance your Azure skills. To sharpen your Azure Skills access the "Azure Skills Training" today, and by Completing any course from the below catalog will earn you a digital certificate of completion, ready to share on your professional networking sites. Join the Azure Master Program today to build and prove your expertise, advance your career and expand your organization’s technology footprint with hands-on Azure trainings and certifications. And in the process, get recognized as Azure Masters. Microsoft team published a One stop Resource for IT Admins to learn and to plan, deploy and manage Office 365 and hybrid environments, Office client deployment and Office 365 services (including Exchange Online, Skype for Business Online, SharePoint Online and more) all in one place. Learn about the latest key Microsoft OneDrive for Business innovations and a detailed update of Microsoft's strategy and roadmap through this below Microsoft Ignite Session, Watching this On-demand session is essential if you are using OneDrive for business in your Organization to enhance Collaboration and productivity. 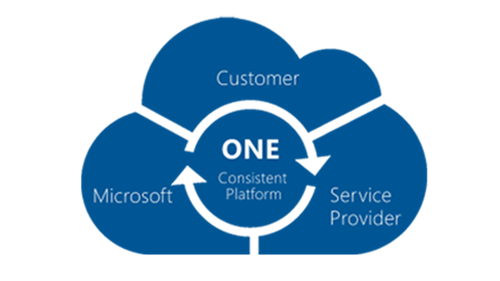 If you are an Office 365 customer and planning to migrate your existing data to OneDrive, you can utilize the Data Migration benefit with the help of Microsoft Fasttrack Center provided you have an eligible plan with 150 or more seats as outlined. 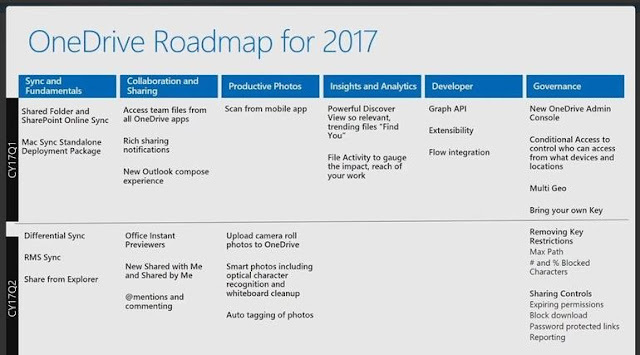 Below is the OneDrive Roadmap for 2017 available as of today. Microsoft announced the availability of several new capabilities in OneDrive for Business that make it easier than ever to sync, share and collaborate on all your files in Office 365. Empowering administrators to manage with confidence - New OneDrive Admin Center Roll-out. Review the FAQs and also share your thoughts and ideas through UserVoice and the Microsoft Technical Community. Also, be sure to attend “Ask Microsoft Anything” (AMA) session on OneDrive for Business in the OneDrive AMA group on Wednesday, February 1, 2017 from 9 a.m. to 10 a.m. PST / 5 p.m. to 6 p.m. GMT. Cloud Platform Release Announcements for September 2016 aligned to Microsoft Ignite! Microsoft team made lot of exciting announcements during the Microsoft Ignite 2016 conference last week, this whereto post is written to point you to the latest Cloud Platform Release Announcement blog post, that includes all of the Cloud Platform announcements aligned with Ignite event in a nutshell. Additionally, take a look all the related On demand Microsoft Ignite Sessions to know more. 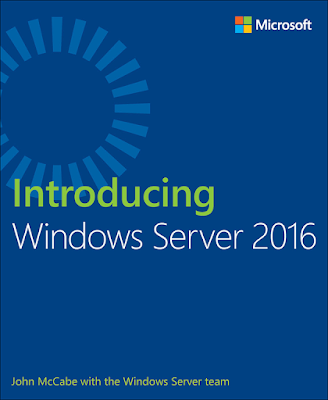 Introducing Windows Server 2016 e-Book now available! Microsoft team announced the Launch of Windows Server 2016 at Microsoft Ignite event last week, Following the announcement now you have the latest e-Book published on Windows Server 2016, written by either field experts or members of the product group, giving you the latest information on every improvement or new feature that is included in this version of Windows Server. Get started with the evaluation today and share your feedback to the product team. 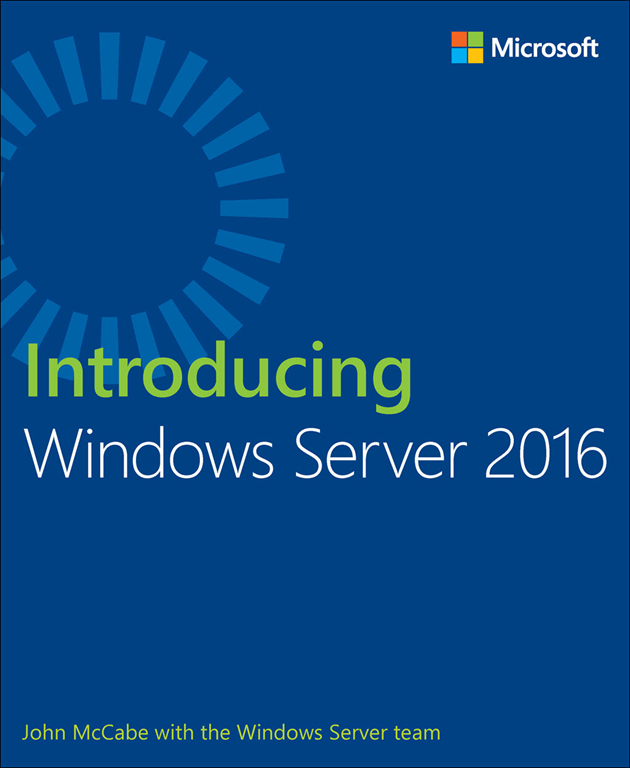 Review the Windows Server Blog to stay updated with the latest enhancements. Additionally, watch all the related On demand Microsoft Ignite Sessions to know more. Microsoft team released five new Microsoft Certified Solutions Expert (MCSE) and Developer (MCSD) specialties. These credentials are aligned to Centers of Excellence, used by the Microsoft Partner Network to identify technical competencies that are widely recognizable by both Microsoft partners and customers. The resulting MCSE or MCSD certification will be added to your transcript and will never expire. Instead, the achievement date will signify your investment in continuing education on the technology. Every year, you will have the opportunity to re-earn the certification by passing an additional exam from the list of electives, demonstrating your investment in broadening or deepening your skills in a given Center of Excellence. Each time you earn the certification, a new certification entry will be added to your transcript. This process will replace the existing recertification requirement of taking a specific recertification exam every 2 years (MCSD) or 3 years (MCSE) in order to prevent your certification from going inactive. Also the existing MCSE and MCSD exams will be retired on March 31, 2017. If you have already earned the required certifications, Microsoft team is aligning you to the new road-map as updated in the blog post, and if you are in the mid of your Certification Journey, then this is the right time to earn an MCSA certification and choose the appropriate elective exam and gain your MCSE / MCSD certification. Be sure to remember that you need to continue your learning and pass one of the elective exam every calendar year to re-earn the certification to keep your certification status current. This new change has created mixed reviews in the Community, review the comments section of the Blog post to know the questions raised by fellow community members and answered by Microsoft, Submit your questions to get it clarified. Since this is the beginning we can see more updates to come in the next few days. 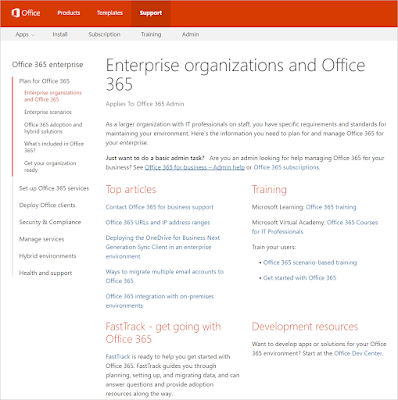 Office 365 New Updates Blog posts ! 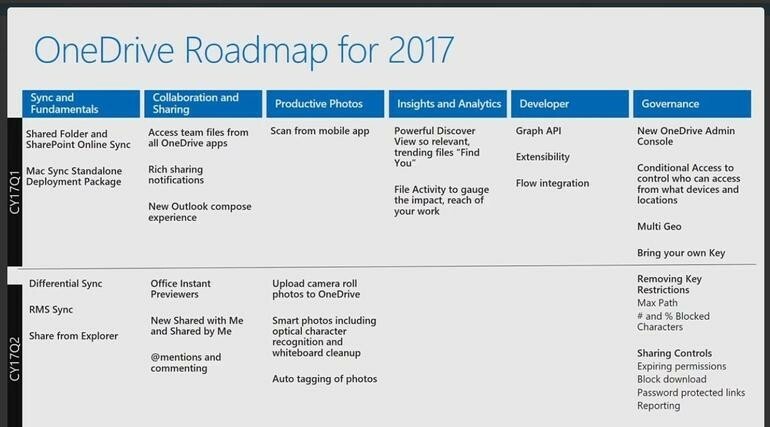 Lot of new updates and enhancements are made to Office 365 and announced this week in the Microsoft's Ignite Conference 2016. 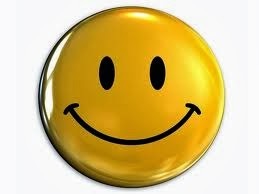 Office Blogs is filled with lot of great posts on these new exciting announcements. Improvements to Office 365 Advanced Threat Protection, New Threat Intelligence and Advanced Data Governance feature availability, and Updates to Advanced Security Management with the new Productivity App Discovery features. Related post that focus on the Conditional Access part of Office 365, showcasing Most awaited Security,Privacy and Compliance controls for SharePoint and OneDrive. Long waited Ability to sync SharePoint Online document libraries and OneDrive folders shared with you (preview available) with few more enhancements covered in the article. A new version of the Office 365 App Launcher, which will provide improved discoverability to new and recently used apps, additional customization options and search across all the services and applications you use in the Microsoft Cloud. More Organizations blocked the usage of Outlook for iOS and Android apps as the service was initially running on AWS and now its fully powered by Microsoft Cloud. Make sure you review all the other latest posts from Office Blogs and few other greats posts made available outside by Technical experts in the global community. Review the On Demand Ignite videos to know more on these features in visual and turn on First release to enjoy most of these benefits and share your feedback in the right channel provided and as usual in Office 365 User Voice forum. Innovation doesn't Pause / Stop with Microsoft Office 365, if you are still waiting to make your move to cloud or haven't experienced Office 365, you would miss some great features out there waiting for you that will for sure enhance your Employee / Personal productivity and take your business to the next level. Why to wait ? spin up your Trial Tenant, explore Office 365, Use Office 365 Dev/Test labs to evaluate more and finally make use of the Office 365 Fasktrack on-boarding center and start your journey to the cloud. Microsoft team recently released the new Skype for Business Network Assessment Tool, which provides the ability to perform a simple test of network performance to determine how well the network would perform for a Skype for Business Online call. A Nice tool to assess your environment for Skype for Business calls quality. Review the install instructions and perform the tests. Make sure you review the Microsoft Ignite On demand Sessions on Skype for Business to know more on the latest enhancements. Microsoft team released updated version of the tool in December 2017, Starting around 12/15, older versions of the tool may stop working and will report an issue with the relay configuration. Download and update to the latest version accordingly. Above Tool download link is updated to point to the new version. 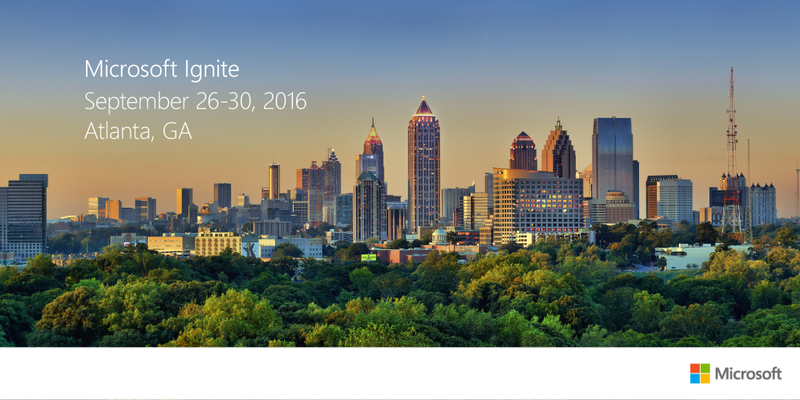 Microsoft Ignite 2016 Conference has just begun, Excitement is just kicked in from today September 26–30, 2016, at Atlanta GA.
MVP Michael de Rooij has created an excellent script to download the slidedecks and videos to view offline. 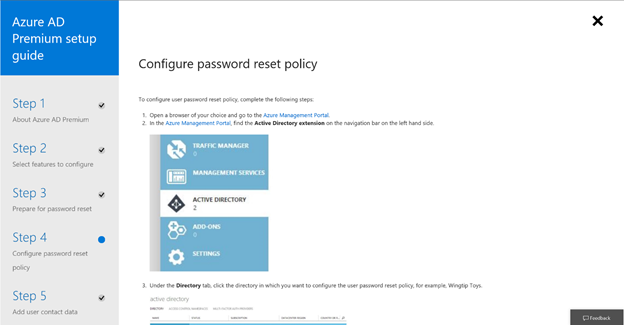 Get ready for AzureAD admin experience in the new Azure portal ! After the announcement of portal.azure.com (codename Ibiza), general availability (GA) status Last December, which is now the default portal for Azure, Microsoft team started to move the Services and applications from the Classic portal to the new Azure Portal. In this road-map this week we had a significant announcement on the Public Preview of AzureAD Admin experience in the new Azure portal. Azure AD is moving to the new portal in phases and within a few months the new portal will have all the features of the classic portal and beyond. As stated in the announcement, to try the new experience you need login to the new portal as a global administrator of your directory. In the coming weeks, Microsoft team will update the new experience so that it works well for other directory roles such as user administrators and password administrators. This new portal looks pretty good and will be enhanced in the upcoming days, Login today and share your feedback! Access the Official Announcement with the Walk-through guidance here: The AzureAD admin experience in the new Azure portal is now in public preview! Additionally review the below chart to check which portal supports the Azure services and applications that you use. See Week 1 update here: AzureAD in the new Azure portal: Week 1 update – Already being used in 125 countries! After the release of Exchange Server 2016, Organizations started to upgrade their On premises Legacy Exchange Environment to the latest version of Exchange, and most of the large Organizations have adopted the Hybrid model, having strong understanding of how to set up a hybrid topology with Office 365 is now essential for an Exchange Administrator. To make your learning easier Microsoft team has published a new Microsoft Virtual Academy video Series on Exchange Server 2016 Hybrid Topologies. Plan and implement Exchange federation. Plan for Exchange federated sharing. Plan and implement Active Directory Federation Services (AD FS) for a hybrid deployment. Manage a hybrid deployment and advanced hybrid functionality. Microsoft Office team has provided us with an one stop resource to solve business problems by leveraging the integration among SharePoint Server, Exchange Server, Lync Server, Microsoft Azure, and Office 365. Great new is nothing but the announcement on the GA dates for AzureAD Identity Protection, Azure AD Privileged Identity Management and Azure AD Premium P2, which is happening this week on Sep 15th. Many Organizations already started using the AzureAD Identity Protection and AzureAD PIM in their environment during the preview stages and creating a secure environment by reducing identity risks, this GA is a great news for all. 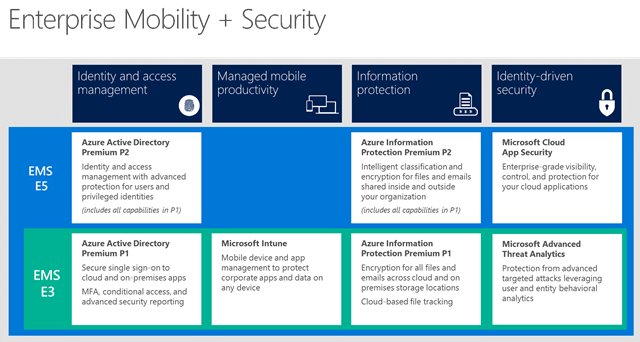 Also after the new changes to Microsoft EMS (Enterprise Mobility Suite) which is now EM+S i.e, Enterprise Mobility + Security, new SKU of Azure AD "Azure AD Premium P2" is getting GA'd which includes all the capabilities in Azure AD Premium P1 as well as the new Identity Protection and Privileged Identity Management. Securing your user Identities using risk-based Conditional Access policies to block attacks in realtime is essential in today's world of cyber attacks, and additionally having your Privileged Admin accounts' elevated access under control by adopting the JIT model of making Admins to elevate their access on demand further keeps your Organization more secure. Greatest milestone in the history of PowerShell happened last month, Now PowerShell is provided as an open source project on GitHub, available on Windows, Linux and macOS! This is a great news, as many of the customers required to utilize PowerShell other platforms and Microsoft took to the right decision inline with their focus on the support for Open Source Software. 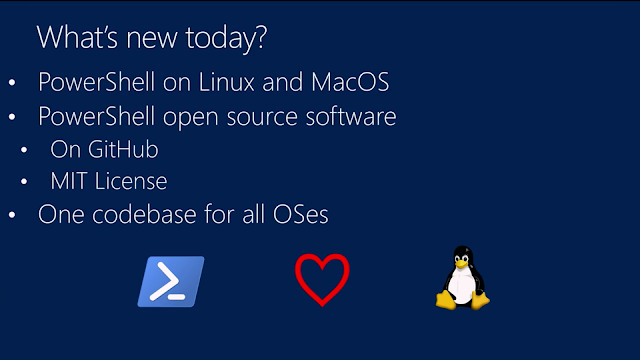 Read the Windows PowerShell blog post here for additional information : PowerShell on Linux and Open Source! 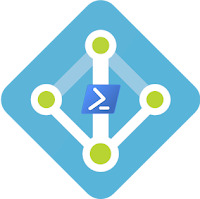 Be sure to watch the video session presented by the father of PowerShell himself "Jeffrey Snover" on the new announcements, and the story behind how this innovation started and went live. 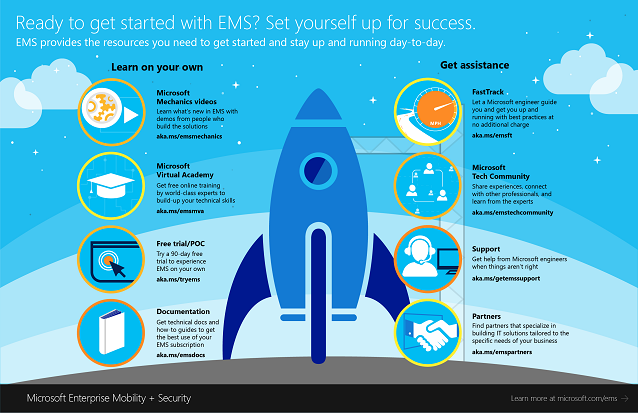 I recently wrote a whereto post on the new Microsoft Virtual Academy expert level course for Deploying Microsoft Enterprise Mobility Suite, this course provides complete in-depth training for you to know more on EMS and enhance your skills to deploy and administrate EMS in your Organization. As an add-on to the learning, you want to know how Enterprise Mobility can be implemented in a large Organization, and the best practices that you ideally need when you plan for your's, now take a look at the IT Showcase Course on Microsoft's own Journey. Learn how Microsoft implemented mobile solutions globally to support its 180,000 internal users, Be sure to take this IT Showcase course, as you continue your exploration of “how Microsoft does IT.” Get insight into the best practices Microsoft has employed to plan, design, deploy, and manage mobile solutions, and hear practical details from Microsoft IT subject matter experts (SMEs). 1 . Introduction - Get an overview of Microsoft IT, the IT Showcase team, and the background on the Microsoft IT story of how Microsoft went to the cloud. 2 . Evolution of Mobility and Storage - Explore the history of storage and how its evolution has enabled the modern mobile computing trends. 3 . Mobility Management - Learn about the Microsoft IT mobile strategy and how the team manages the mobile environment. 4 . Application Development - Find out how Microsoft IT develops applications in the modern cloud-first, mobile-first world. 5 . MS Approvals Case Study - Get the details on MS Approvals, an application that leverages legacy applications and cloud technologies to deliver a modern application experience. 6 . Security in Mobility - Explore the Microsoft IT approach to mobile security, from the basics to preparation for cyberattacks. 7 . Identity Management - Gain insight into the Microsoft IT transition to the mobile workplace and how identity and authentication changed. 8 . Access Management - Find out how Microsoft IT created a policy-driven enforcement of access to resources. 9 . Mobility Future - Learn about how Microsoft IT sees mobility evolving in the future. 10. Conclusion - Learn how it all comes together. Hear the story of a day in the life of a Microsoft employee. 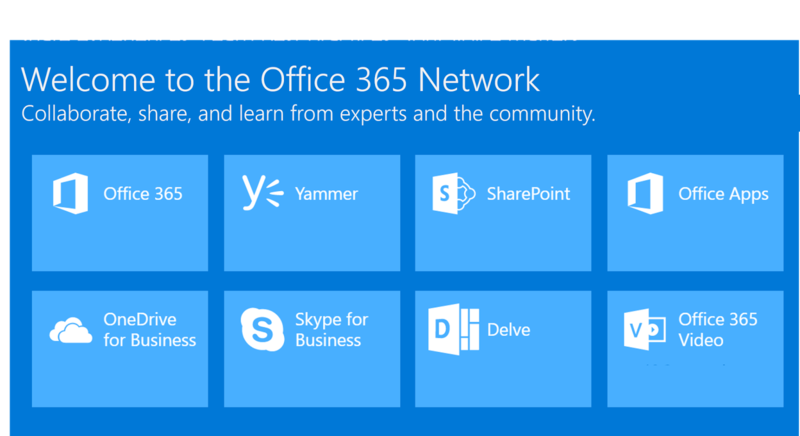 Microsoft recently announced the public preview of the new Office 365 Network and now its renamed as the Microsoft Tech Community, Old Office 365 Network on Yammer is scheduled to shut down on September 15. "Today we are pleased to announce the launch of the Microsoft Tech Community, bringing multiple communities together in one central location to support discussions and best practice sharing across a variety of Microsoft products and services. 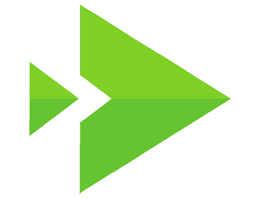 The Microsoft Tech Community is an evolution of the Office 365 Network, growing to support new Azure; Windows Server, and SQL Server Communities and in future many more communities." 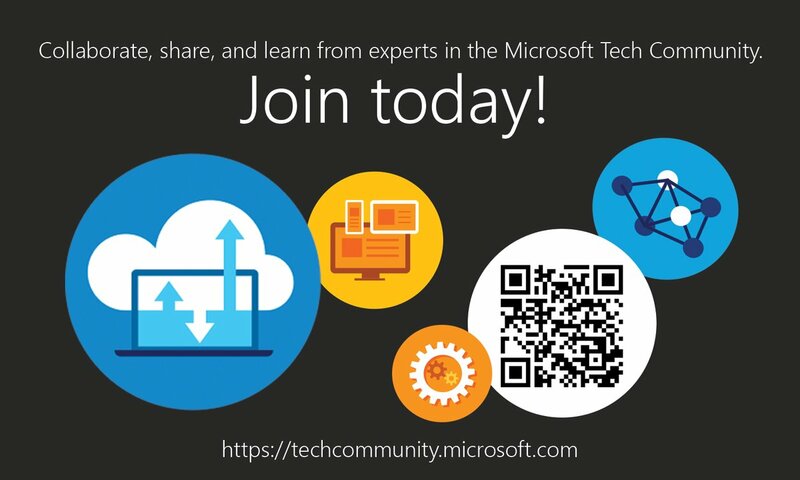 Read here for complete information: Announcing the Microsoft Tech Community! Access the new community site and share your feedback, hope this new change is effective and gain momentum in the upcoming days similar to the old Office 365 Network. Access the lightning tour of the Microsoft Tech Community presented by Anna Chu MSFT. If you haven’t seen or joined the community, it’s the single place where experts in the community can share, collaborate and learn about products and services across Microsoft. 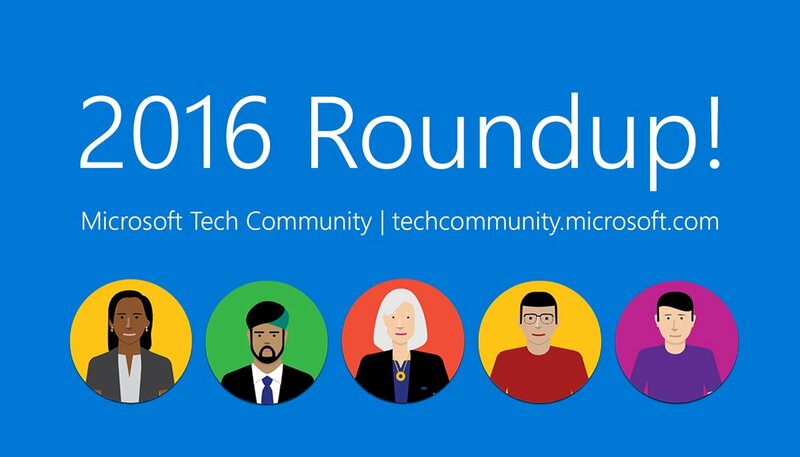 Access the countdown of the top 16 product news announcements, moments and conversations from the community in 2016. 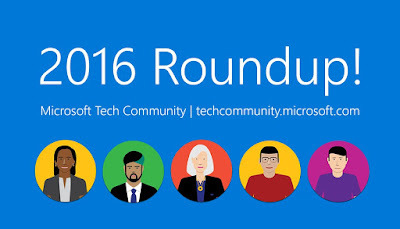 Microsoft Tech Community - The 2016 Year Roundup is posted! Microsoft team announced the Preview of device-based policies for Azure AD Conditional Access, These policies help you stay in control of your organization’s data by restricting access to enterprise managed devices. Policies can be applied on a per-application basis to require that devices be managed by your company and be correctly configured . The new capability supports iOS, Android, Windows 10 Anniversary Update, Windows 7 and Windows 8.1. This release, in conjunction with the per app MFA and location based rules, offer organizations the a robust and flexible tools for protecting resource, taking into account both the user and their device when an application is accessed. Access the Official blog post to know more: AzureAD Conditional Access Policies for iOS, Android and Windows are in Preview! Microsoft Enterprise Mobility Suite which is now Microsoft Enterprise Mobility + Security (EMS), is the ultimate solution for securing your Organization's Identity and Information protection. Microsoft team is enhancing their product line to support the on demand needs of today IT world and EMS is one of the key solution that is adopted globally, having a good knowledge to deploy EMS is essential for an IT Administrator, and this new Microsoft Virtual Academy course focuses on the same and provides in-depth technical training. Make use of the Office 365 and EMS dev/test environment to setup up your test lab and experience EMS. Microsoft MVP Led TechDays Online scheduled for 12 to 16 September 2016, get yourself registered and learn the new Microsoft Technologies on the move. Access the Office 365 Support Corner Videos Series made ​​by teams of engineers who lead the Office 365 support in several countries, including Spain . They work together to empower users to know better Office 365 and can use the service actively and properly. Office 365 Labs is dedicated to IT pros that work with Office 365. This September we have new 8 different webcasts delivered by the team. Meetup Slides: Azure AD with Office 365 and Beyond! I recently delivered a Meetup session on AzureAD in Chennai Microsoft Azure Group and had a great experience meeting fellow IT Pros in my region. I planned this session by beginning with the Basics and extend the discussion step by step towards the advanced features, and effectively shared my learning and real time experience with the participants and gained a lot of positive feedback. 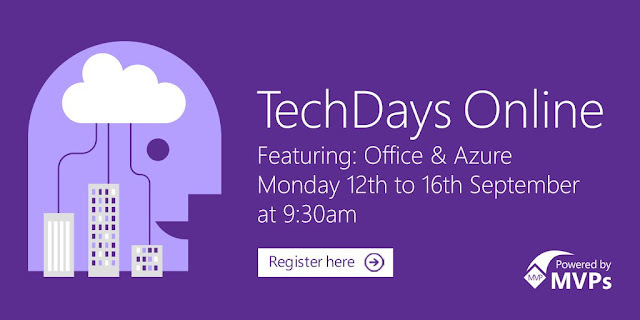 Access the Meetup slides here: Azure AD with Office 365 and Beyond! I would strongly encourage everyone to take active part in the Meetup events hosted in their regions by fellow Community members, This is the best place for you to share your learning and experience that puts you one level up in your career. Azure Information Protection: Available in public preview now! Following the announcement of Microsoft Azure Information Protection in June, Now Azure Information Protection is Available in public preview that brings together Azure Rights Management (RMS) and classification and labeling technologies from Secure Islands. An Azure management portal for the configuration and management of information protection policies, rules and labels. An Azure Information Protection client for the consumption and enforcement of classification, labeling and protection policies across Word, Excel, PowerPoint, and Outlook (2010/13/16). Read the Official Blog post here: Azure Information Protection: Available in public preview now! 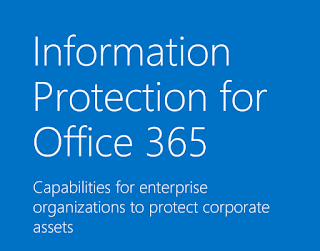 Also read the new Office Blog posts on Information protection for Office 365 and a related reference for Admins. 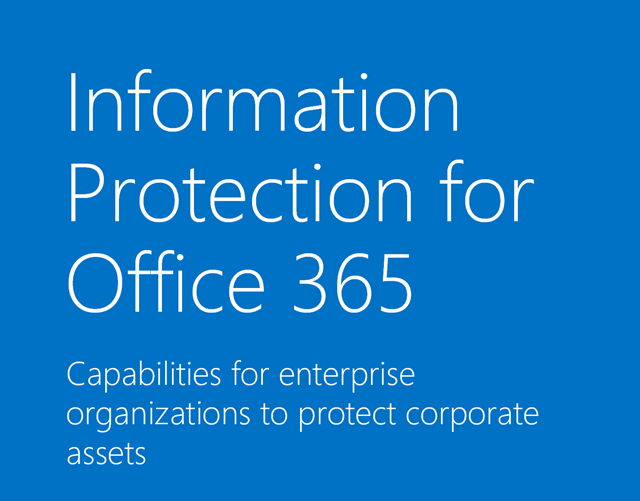 Make sure your download the Information protection for Office 365 Poster that helps you plan your information protection strategy based on the needs of your organization. 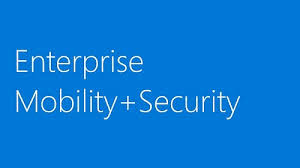 One of the most significant announcement for this month is the renaming of of Microsoft Enterprise Mobility Suite (EMS) to Microsoft Enterprise Mobility + Security (EMS) and the announcement of a new expanded EMS E5 plan. This change really makes sense with the current features available in the new plan. a. The existing Enterprise Mobility Suite becomes Enterprise Mobility + Security E3, with no change for existing EMS customers. b. A new expanded plan will be generally available in Q4 2016 and known as Enterprise Mobility + Security E5. a. The existing Azure AD Premium becomes Azure AD Premium P1, with no change for existing customers. b. Azure AD Premium P2, generally available later in Q3 2016, includes all the capabilities in Azure AD Premium P1 as well as the new Identity Protection and Privileged Identity Management capabilities. a. 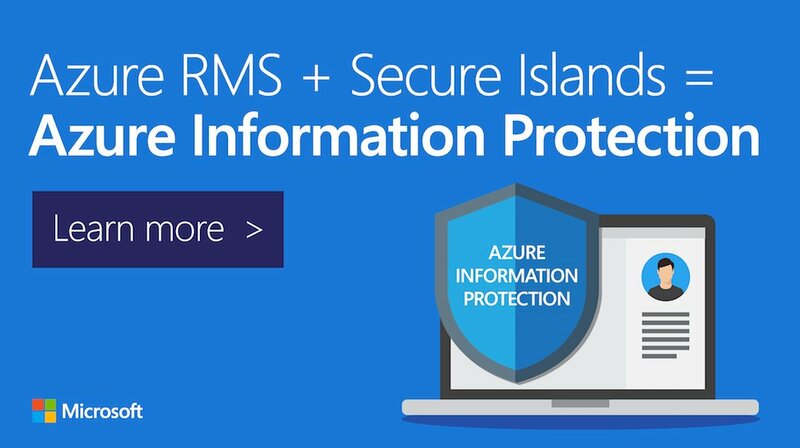 The existing Azure Rights Management Premium becomes Azure Information Protection Premium P1, generally available in Q4 2016, with no change for existing Azure RMS customers. b. The P2 offer adds automatic classification, on top of the manual classification, labeling and everything else included in P1. Additionally, Microsoft Azure AD team recently announced the new step-by-step guided set up for Azure AD Premium. This helps Organizations to make sure they are getting the most from their Azure AD Premium subscription. Access the below blog posts to know the latest EMS updates announced during the Microsoft Ignite Conference 2016 ! This month is quite significant for Azure AD with multiple announcements that made most of the customers delighted and this post is curating key ones in a single window with references. AzureAD: Certificate based authentication for iOS and Android now in preview! - Most awaited feature that reduces the dependency of tradional authentication method using passwords and moving towards a secure way of authenticating using Certificates. Introducing AzureAD Connect Health for Windows Server AD - AzureAD Connect Health is evolving and now it gives IT admins the ability to monitor the health and performance of their on-premises Windows Server Domain Controllers from the cloud. AzureAD Conditional Access: Per app MFA and Network Location based policies are GA! - Most awaited Per app MFA and Location based polices went GA this month, These features were in the Conditional Access public preview and now went to to GA.
Azure Active Directory B2C is now generally available in North America - Finally Azure AD B2C went GA for North America and soon we can expect this to be expanded to other Geographies and also eager to know the GA of the most awaited B2B. The new design for AzureAD MyApps is now in preview! - Based of Customer Feedback Microsoft team has introduced new modern design for Azure MyApps in preview , expected to get GA in Q3 2016. Microsoft Authenticator – Coming August 15th! Supports AzureAD & Microsoft acct! - Finally, we have a new Microsoft Authenticatore App on its ways that combines the best parts of previous authenticator apps into a new app which works with both Microsoft accounts and Azure AD accounts. Additionally, This Month we have a new Hybrid Identity and ADFS, AzureAD Mailbag Series that answers important FAQs that exist today for most of of the customer using AD FS in a Hybrid Idenity model with AzureAD. All of the e-Books are essential for every IT Pro to have handy and utilize the resources to excel in their career. Access the Official Blog here and download the e-Books: FREE! That’s Right, I’m Giving Away MILLIONS of FREE Microsoft eBooks again!